The Community System Specialist reports to the Chief Zanzibar Field Office for managerial purposes and to the Chief of Section, Health for technical guidance and supervision. The Specialist is responsible for managing, implementing, monitoring, evaluating and reporting of the country office’s program and providing technical guidance and operational support throughout the programming process to facilitate the achievement of concrete and sustainable results according to plans, allocation, results based-management approaches and methodology (RBM) and organizational Strategic Plans and goals, standards of performance and accountability framework. 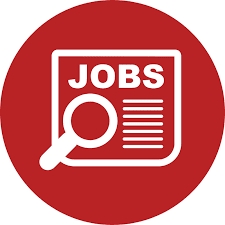 • Plan and provide technical support/guidance to the preparation of strategic plans for the development, design and management of community related programs. This includes working with the government at national, district and community levels, as well as other development partners, donors, private sector and others. The Specialist must keep abreast of global research on community health and development trends to enhance program management, efficiency and delivery. • Support the institutionalizing of CBHP and the CHWs within government and community health structures. Although the CHWs have been formally recognized in a variety of policy and planning documents, because the focus on community health and CHWs are new, the Specialist will need to assess the gaps and needs at various levels of government and work together with MOH and other partners to develop plans to embed and support CHWs within the health system. • Support the development of CBHP planning to ensure smooth roll out nationally. This includes assessing the needs and developing strategies to address key obstacles to successful CBHP, including training, deployment, supplies, service delivery issues, supervision, etc. • Ensure overall coordination in collaboration with MoH of all stakeholders supporting community work in Zanzibar. Assist the government and development partners to develop systems, tools, mechanisms and other methods to support the scale up of functional community level service delivery. • Ensure alignment of sectoral program with the overall UNICEF’s Strategic Plans and Country Program and coherence/integration with UN Development Assistance Framework (UNDF), regional strategies and national priorities, plans and competencies. • Support the decentralization of decision-making through strengthening community administrative structures at sub-national level. • Ensure that the roll out of CHWs is equitable across the country and that poor, vulnerable and hard-to-reach populations have care in their communities. 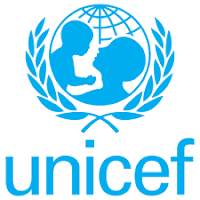 • Work with other sections in UNICEF to integrate key services into the community health platform, such as nutrition, WASH, child protection, HIV, etc., to ensure that mothers and children have access to lifesaving care. • Establish or enhance civil society organizations and grassroots community involvement in health plan and budget, including service delivery, performance accountability and progress tracking. • Actively monitor programs/projects to assess progress, identify bottlenecks and potential problems and take timely decisions to resolve issues and/or refer to relevant officials for timely resolution. • Assess gaps in financial resources to support CBHP and work together with development partners, donors and others to identify and secure additional funding. • Collaborate/consult with key government officials, CSOs, NGO partners, UN system partners and other country office partners/donors on policies, strategies and best practices and approaches on health, nutrition and related issues to support program development planning, management, implementation and delivery of results. • Ensure the technical appropriateness of the package of maternal and child survival interventions in the CBHP and the capacity in place to support its implementation (staff and supplies). • Advise on methods to strengthen the supply system to ensure that CHWs, as a new cadre, are included in supply plans and that supply chain systems and funding are in place to ensure a reliable flow of equipment and lifesaving medications. • Research and recommend methods to standardize the quality of maternal, neonatal and child healthcare, such as using clinical algorithms. • Participate in program strategic discussions/planning to provide technical advice/contribute policy discussions and agenda setting to promote health and development issues especially in the areas of gender, emergency preparedness and maternal, neonatal and child survival and development. • Prepare policy papers, briefs and other strategic program materials for management use, information and/or consideration. • Participate in emergency preparedness initiatives program development and contingency planning and/or to respond to emergencies in country or where designated. • While the vision of the CHW program was national-led by the Ministry of Health, UNICEF supported a widely consultative process in the Task Force to ensure it evolved and was adapted to both global evidence and standards and local needs. The Specialist will need to continue to work collaboratively to strengthen the program. • Public-private partnerships (PPP) are a key goal of the government’s CBHP program, and therefore the Specialist will need to assess local options for PPP and assist the government and other partners to adapt them for CBHP. • Develop or revise high level advocacy tools for community health, such as policy briefs, costings and other documentation as needed. • Promote critical thinking and innovative approaches and good practices for sustainable health programs/projects initiatives. • Strengthen the use of mHealth or other innovative solutions for community-based care. • Pursue options for ensuring the efficient and accurate collection and use of data and evidence for community health. • Keep abreast of current relevant research, benchmark and implement best and cutting edge practices in health management and information systems. Institutionalize and share best practices and knowledge learned. • Contribute to the development policies and procedures and introduce innovation and best practices to ensure optimum efficiency and efficacy of sustainable programs and projects. • Lead/plan/implement capacity building initiatives to enhance the competencies of clients/stakeholders to promote sustainable results on health related programs/projects. The efficiency and efficacy of program preparation planning and implementation of health programs/projects contributes to the delivery of concrete and sustainable results that directly impact the improvement of the health of the most marginalized and vulnerable children in the country, and this in turn contributes to maintaining/enhancing the credibility and ability of UNICEF to continue to provide program services to protect the rights of children, promote greater social equality to enable children to survive, thrive and develop and reach their full potential in society. An Advanced University Degree in public health/nutrition, pediatric health, family health, health research, global/international health, health policy and/or management, environmental health sciences, biostatistics, socio-medical, health education, epidemiology or other health related sciences is required. A minimum of 8 years of professional experience in public health/nutrition planning and management and/or in relevant areas of maternal and neonatal health care, health emergency/ humanitarian preparedness, at the international level some of which preferably in a developing country is required. Relevant experience in health/nutrition program/project development and management in any UN system agency or organization is an asset.